Our organization is engaged in wholesaling and supplying optimum quality Process Reactor. Our offered process reactor is tested in terms of quality by vendor’s quality controllers for dispatching flawless range. 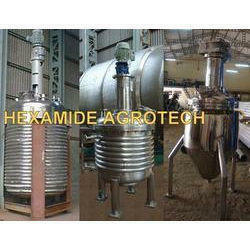 This process reactor is chemical resistant in nature and suitable for bearing high temperature. In addition, offered process reactor can be customized in numerous specifications as per the requirements of our patrons.